In the search for a new vineyard property, their requirements included a north facing slope, a permanent running creek and adequate wind protection. The shade thrown by the enormous 60 year old pine trees that surrounded the property proved to be a negative, but when the trees were removed it revealed the stunning views that are now such a recognisable feature of Paringa Estate. The first vines were planted in 1985 and by 1990 the 10 acres (4.2 hectares) were fully planted. 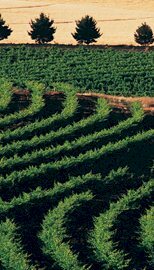 Parker Coonawarra Estate is situated in Coonawarra, at the centre of South Australia's Limestone Coast Wine Region. 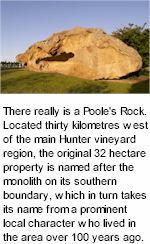 It is approximately 3 1/2 hours south of Adelaide, the capital of South Australia, and about 4 hours west of Melbourne, the capital of Victoria. Only a short drive from Coonawarra to the east is the beautiful Grampians Region, and the stunning Great Ocean Road to the south east. The story begins in 1973 when Graeme Leith and Sue Mackinnon great friends and partners decided that they wanted even more challenges in life than were possible for them in their careers as electrical contractor and journalist; Graeme was the electrical contractor. They wanted to brave the elements, face the challenges of the land, and like so many before them pursue the holy grail of the best wine in the world. Associate Professor and Consultant Neurologist, Ivan Donaldson, is a wine writer and wine judge. He also oversees viticulture and wine styles. His wife, Christine, is business manager and as a passionate opera lover, organises annual operatic concerts in Pegasus Bay's natural amphitheatre. 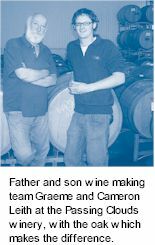 Their eldest son, Matthew, did an oenology degree and a postgraduate diploma in viticulture at Roseworthy College in Australia. 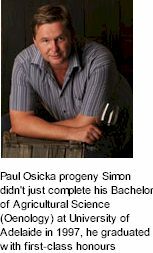 He and his partner Lynnette Hudson, who graduated with distinction from Lincoln University with a postgraduate diploma in oenology and viticulture, are the winemakers. Over the years Pepper Tree have acquired vineyards in the Orange, Wrattonbully and Coonawarra growing areas to enable the winemaker production of varietal wines that either did not grow as well in the Hunter Valley, or are different expressions of a particular varietal that are of interest to connoisseurs of fine wines. The character and complexity reflected in the Appellation wines are an expression of diverse vineyard resources. A second is the balance and elegance in the Multi-Regional range of varietals. These are blends of a varietal wine made from grapes grown at two or more of vineyards that vary from year to year. 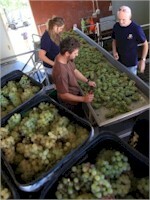 All Pepper Tree wines are produced, aged and bottled at the winery. The Seppelt family has been making wine since the middle of the nineteenth century. Peter Seppelt is the 5th generation to continue the winemaking tradition. Twenty five years ago Karl, Lotte and Peter came across the 120 hectares, which has become Grand Cru Estate. Grand Cru, meaning fine wine, suits our aim of producing fine wine because of perfect elevation in a wonderful cool climate. Grand Cru, means fine wine, and it expresses the Peter Seppelt estate's aim of producing the best, by virtue of a superior vineyard site which enjoys perfect elevation, and a wonderful cool climate. David Pettavel left Switzerland and emigrated to Australia in 1842 aboard the barque Platina. Upon landing at Port Philip, Pettavel continued directly to the hills of Geelong to plant the region's first vineyard. 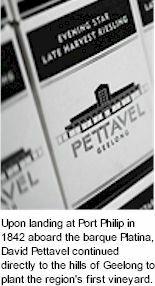 These vineyards, and the wine produced from them were such a success that Pettavel immediately began plans for further vineyard development throughout the rolling hills of Geelong. The shortage of skilled labour became a major constraint to Pettavel's expansion, so Pettavel returned to Switzerland, and sailed back to Australia aboard the ship the Evening Star in 1856 after convincing family and friends to follow him to Australia. Piano Piano vineyards are located on a highly sought after golden mile amongst some of Beechworth�s most notable wine producers. 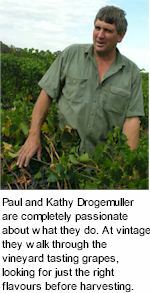 They focus on making premium, estate grown single vineyard wines, vintages with a strong sense of place. Rather than impose his own personality on the wines, Marc has always strived to let the vineyard tell its own story. Marc started his wine education around the kitchen table at home. His father Mario introduced him to a wide selection of local and Italian wines. After graduating with a Science degree from Monash University and working for IBM for five years, the lure of wine was strong. Marc then studied Wine Science at Charles Sturt University and has many years of practical experience, including seven years as a winemaker at Brown Brothers and vintages at Giaconda, Seresin Estate (NZ), Delegat�s (NZ) and John Gehrig Wines. 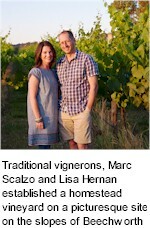 Marc is also Chief Winemaker at Rutherglen Estates. Pipers Brook Estate is a small winery where all it's wines are estate-grown and bottled. 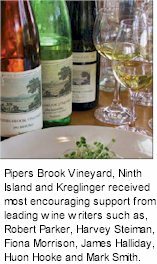 The winery produces over ten varieties of red, white and sparkling wines under the Pipers Brook Vineyard , Pirie and Ninth Island labels. Pipers Brook Vineyard grapes are sourced entirely from within the Tasmanian appellation. Its wines are available in seventeen countries. Grapes for Pirathon are grown by dedicated high quality growers in the Greenock, Moppa, Belvedere, Stonewell, Seppeltsfield, Koonunga and Ebenezer districts of the northwestern Barossa. 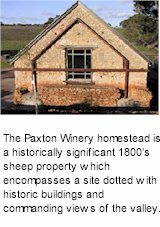 Eminent Barossa families such as Elson and De Fazio, Milhinch and Materne, Pfeiffer, Westlake and Wendt. Many of these growers have been farming the same land for generations. Grapes for Pirathon Shiraz are traditionally handcrafted in open top fermenters and basket pressed before maturing in oak barrel. Each vineyard adds its own exclusive dimension to Pirathon Shiraz, each making an essential contribution to the complete wine. The Tamar Valley is situated in the north of Tasmania at a latitude of around 41-42° south. Approximately the same length as the Cote d'Or in Burgundy (90km) and with a similar cool, humid climate, vineyards occupy favoured N/NE facing sites predominantly along the west bank of the river. Chardonnay, Riesling, Sauvignon Blanc, Pinot Gris and Gewurztraminer are all grown here, producing fresh, extremely elegant whites. 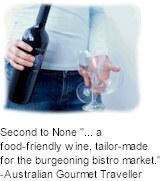 But for red wines, Pinot Noir is king. From the bright cherry and raspberry scented wines from Kayena in the Lower Tamar, to the heady truffle and black cherry aromas from the Upper Tamar vineyards at Relbia and White Hills, the variety of styles from this small region prove that the French do not have a monopoly on terroir. They met while working vintage in the Barossa Valley and together spent many years travelling and working consecutive vintages in Australia and Europe. 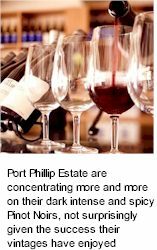 It was on their regular end of vintage holiday to the beautiful Pondalowie Bay on South Australia’s Yorke Peninsula that the pair made the decision to funnel their enthusiasm and experience into a vineyard and winery of their own. 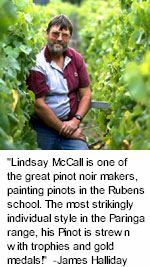 They chose the Bendigo region in Central Victoria and with family support set about establishing 25 acres of vineyard with grapes varieties that they were passionate about. The winery is named Pondalowie after the special place where they decided to turn their dream into reality. Founder Warwick Ross's family has had strong ties with the Portsea/Sorrento area since the late 1800s, when grandfather Dr. Frederick Kiel travelled regularly by paddle steamer as a young man from Melbourne to spend his summers at Sorrento. The Kiel family acquired Pembroke, an historic limestone cottage on Melbourne Road, as their summer residence, which remained in the family until the 1970s. The Kiels acquired the 40 acre Tintagel farm on Portsea Ocean Beach in 1956, a place of undulating paddocks and sweeping views of tempestuous Bass Strait. The subsequent acquisition of the adjoining 106 acres from the Baillieu family in the 1960s allowed the Ross family to expand their cattle grazing activities with the introduction of Angus and Hereford herds. 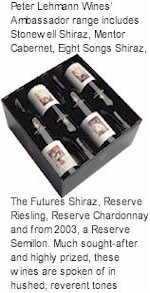 In 1967 Melbourne entrepreneur Ross Shelmerdine commisioned wine industry stalwart Colin Pearce to find the best site for premium grape growing anywhere in south eastern Australia. Preece chose an old grazing estate, prized for it's climate, soil and proximity to the waterways. Colin Preece, one of the great winemakers of the 20th century, and for decades chief winemaker at Seppelt Great Western, came out of a ten-year retirement to help found Mitchelton in 1973. In 2002 Greg finally found the ideal site which consisted of approximately 14 hectares of grazing land on well-drained north east facing slopes, with cracking clay over a calciferous base. The site was also frost free. Robert Drew was contracted to establish the original vineyard for planting - which has now been planted with 2.9 hectares of Riesling and 3.8 hectares of Pinot Noir. 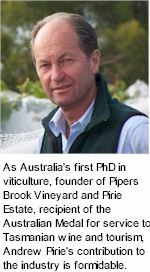 In 2006 the demands of the expanding vineyard, and Robert Drew’s own very successful vineyard, necessitated the appointment of full-time viticulturist Paul Smart. 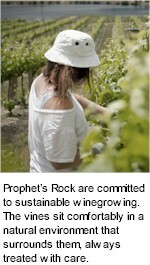 Two vineyards were established in the Bendigo sub-region, Prophet's Rock Home Vineyard and subsequently the Rocky Point. Both are steep and elevated and each is distinctive. The Home Vineyard with its rare mix of soils, including schist, clay and chalk. Rocky Point with its stony ground and almost treacherous slopes. In the winery, they take inspiration from the old houses of Europe. The team refined their trade working in France's classical wine regions, Languedoc and Sancerre, Burgundy and Alsace. Traditionally aesthetic, respectful and patient, vineyard focused. It resonates in the wines and frees them to express the unique tenor of sites. 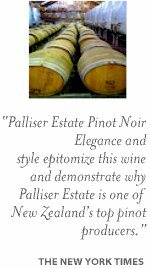 Owner winemaker Scott Ireland has been involved in the wine industry for over twenty five vintages. 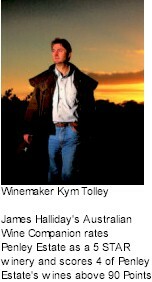 Experience gained from extensive travel and work in the wine industry throughout Australia, France and the US led to the desire to create his own brand of wines. Wines representative of their source (provenance), but shaped by his feel for the winemaking craft/ art. Scott is a passionate (surely Richo should get an honorary Brownlow) Tiger supporter who loves nothing more than relaxing on his old wooden boat, glass in hand. The wine industry provides both challenge and solace for him. Coonawarra, the aboriginal word for wild honeysuckle, is the name all associate with Australia's premier table-wine district, the dry red wines are amongst the best in the world. The Coonawarra viticultural area is based on the small area of terra rosa soil stretching north from Penola for fifteen kilometres and restricted to only two to three kilometres in width. 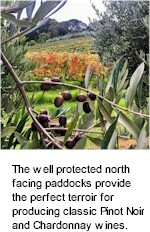 Early assessments of Coonawarra area recognised the suitability of the natural elements of the district for vine growing.